Initiative Ireland is aiming to finance €60m in construction loans to allow the building of 250 family homes. The company - whose innovative social lending model has been supported by Enterprise Ireland - intends to launch Ireland's first syndicated property finance platform in September. Specialising in residential development finance, Initiative Ireland has announced it will support the construction of 250 new family homes by December 2018. The fintech startup - headquartered at NovaUCD - will offer its private syndicate members the ability to earn 3.5pc APR to 7.5pc APR for the funds they commit, the minimum per commitment per loan standing at €10,000. 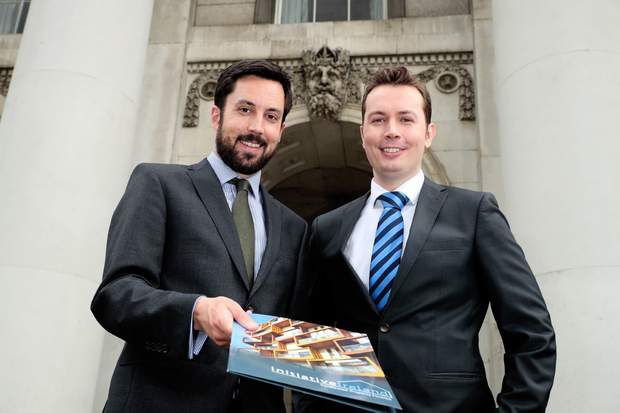 "It is great to see Irish firms, like Initiative Ireland, responding to the market need with new sustainable solutions," Eoghan Murphy TD, Minister for Housing, Planning and Local Government, said. "I welcome their goal of making finance available at affordable rates to smaller developers, which is a necessary component if we want to see the activation of dormant sites." Founded in 2015 by an experienced financial services team, with the goal of providing increased financial inclusion, competition and sustainability to the Irish finance market, Initiative Ireland was recognised by the MetLife Foundation Inclusion Plus Awards in September 2016. "Moreover, at a time when the country is in desperate need of housing, our initiative will offer competitive returns and terms to our private members, while supporting the construction of much needed family homes across Ireland," Padraig W. Rushe, CEO, Initiative Ireland said. "We have designed our offering to support additional, small developments across the country, with the expectation of financing the construction of a further 250 to 500 new homes per annum starting in 2019. "Our affordable pricing is designed to activate dormant sites and as such this additional lending is expected to deliver a further 600 to 1200 additional construction jobs in 2019, in addition to 50 new jobs to be created in the company, over the next 5 years." Each loan is carefully assessed and pre-approved by an internal credit risk committee prior to syndication amongst members - and all loans are professionally managed by Initiative Ireland.